The world is going mobile, whether it is the latest smartphone or the newest tablet. Our team can assist you in every step of the process, from requirements and functionality design to development, publishing, and integration with your existing systems and back-office processes. We build native applications for the iOS and Android platforms to ensure the ultimate in speed and compatibility. Our designers can assist in creating a great looking app, or we can provide the necessary specifications for your existing graphic design team. Contact us today for a free consultation to discuss how a custom developed mobile app could help your business or organization! We’re excited to develop and maintain native iOS and Android apps for JBF Sports, targeting the professional sports leagues. 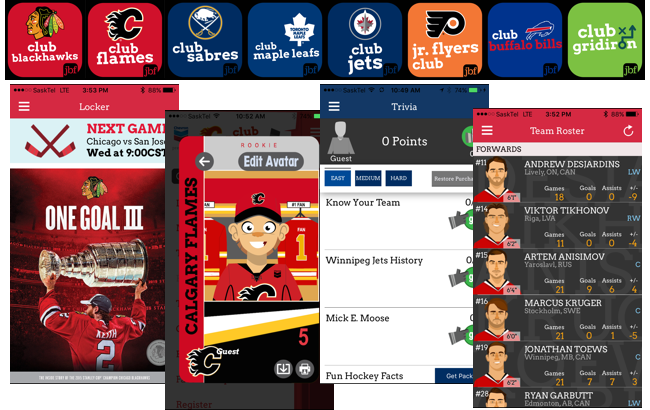 Working closely with the team at JBF Sports we’ve built the native Android apps, taken over the maintenance and expansion of functionality of the iOS apps, and supported expansion of the apps from two apps on one platform to 16 total apps on both Android and iOS in less than a year. These applications incorporate a wide variety of app functionality, including detailed analytics, a customizable personal avatar builder, real-time notification and push notification support, OAuth security, and tight integration with a server API to provide instant updates and new content. Galon came to us with a great idea – assist all the Canadian Snowbirds and other frequent travellers to track their days out of country and their purchases while in the USA. We worked with Galon to take some initial idea mockups through a full design and development project to build the iOS Snobird app on time and on budget while handling new feature requests throughout the process. 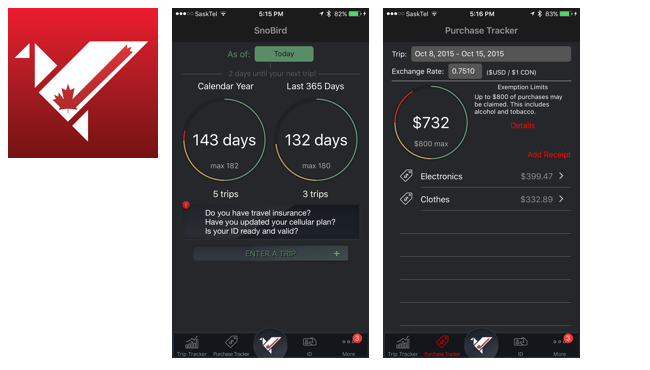 With custom graphics and charting, a local database to store content without a network connection, local notifications to advise you of required actions before a trip, and password secured access to sensitive areas, the Snobird app is the best Snowbird app on the market. We built the best source of campground information in Saskatchewan. There are great campgrounds throughout Saskatchewan but finding them could be a challenge online. 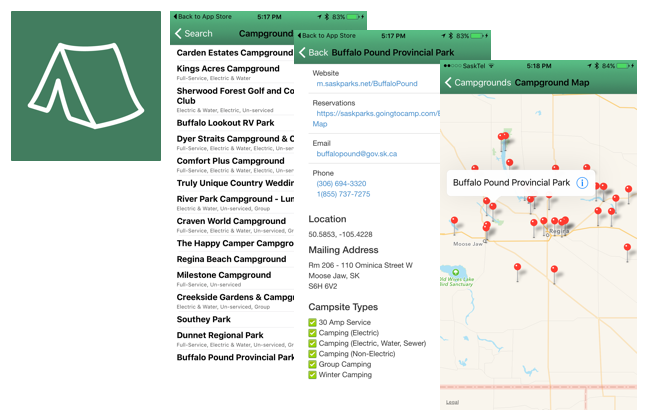 We built the CampSask.ca website, developed the supporting CampSask iOS mobile app, and compiled all the campground information to allow anyone to find a complete list of campgrounds within our province.